Fender Classic 50s Stratocaster Maple Neck with Gi..
Diamond HFREX-RMT Hailfire Ex Room Of Tears Guitar..
Diamond BOPFM3-FR-UV Bird of Prey Electric Guitar ..
ESP Ltd EC401 Electric Guitar with EMG 81/60 Picku.. 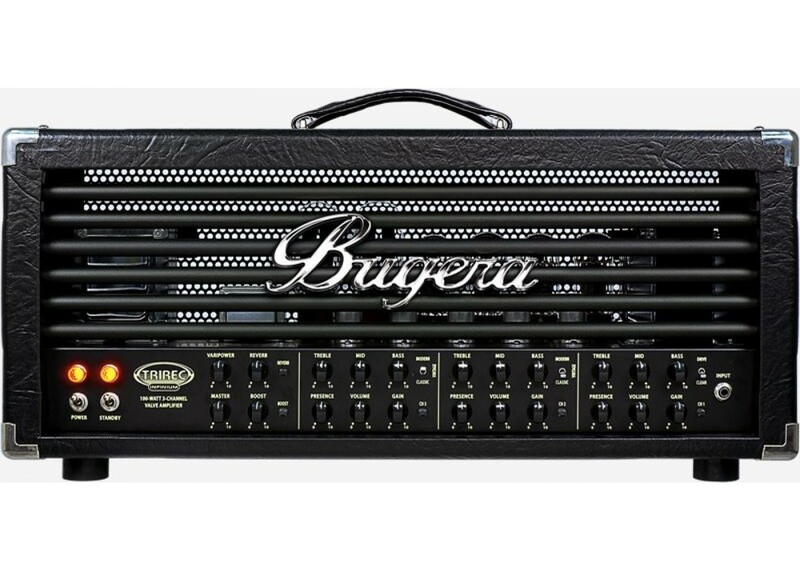 The Bugera Tri-Rec is a boutique style, 100-watt, all-tube guitar amplifier head with enough power and flexibility to please almost any style of guitar player. 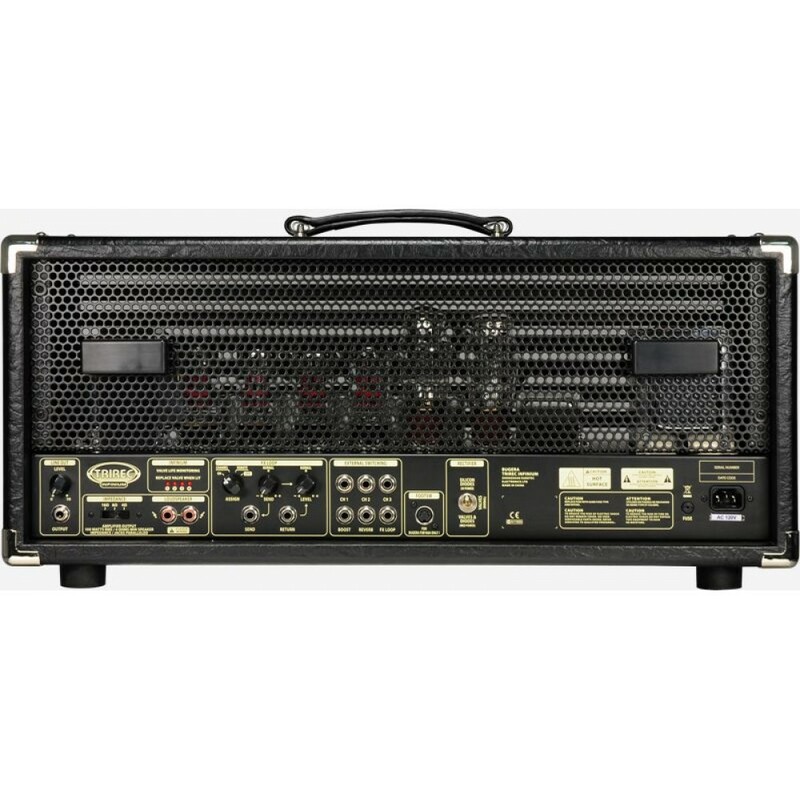 This hand-built, hand-wired amplifier features 3-channels with 3 mode variations on the 2nd two, which provides guitarists the ability to shape their tone very specifically per channel and instantly recall their settings via the included footswitch at any time. 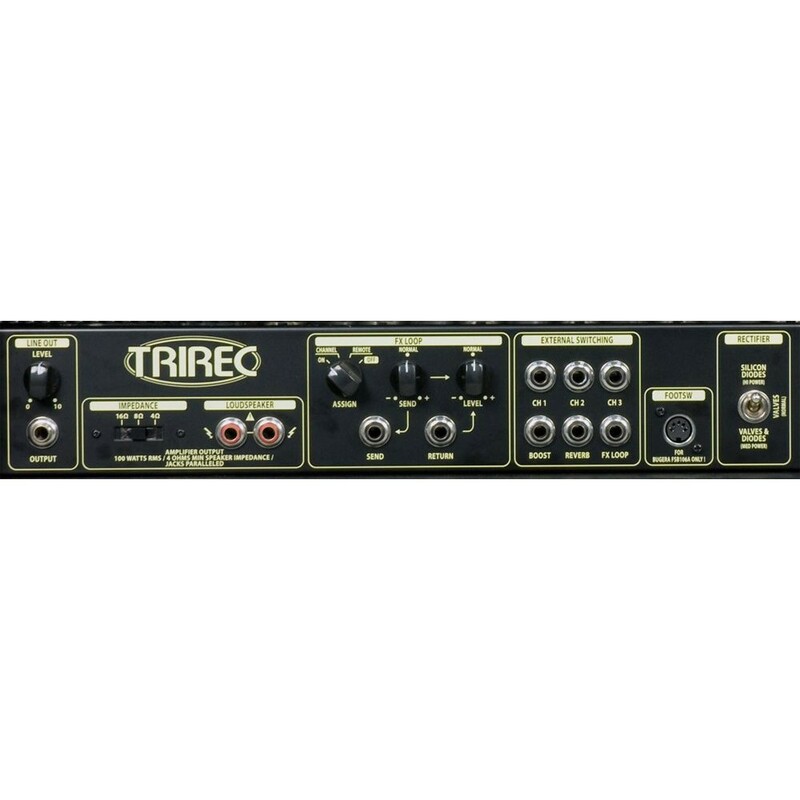 This means you can have a pristine clean on channel one, a vintage overdrive on channel two and an ultra hi-gain sound on channel 3 - or virtually any combination that you can dream of. 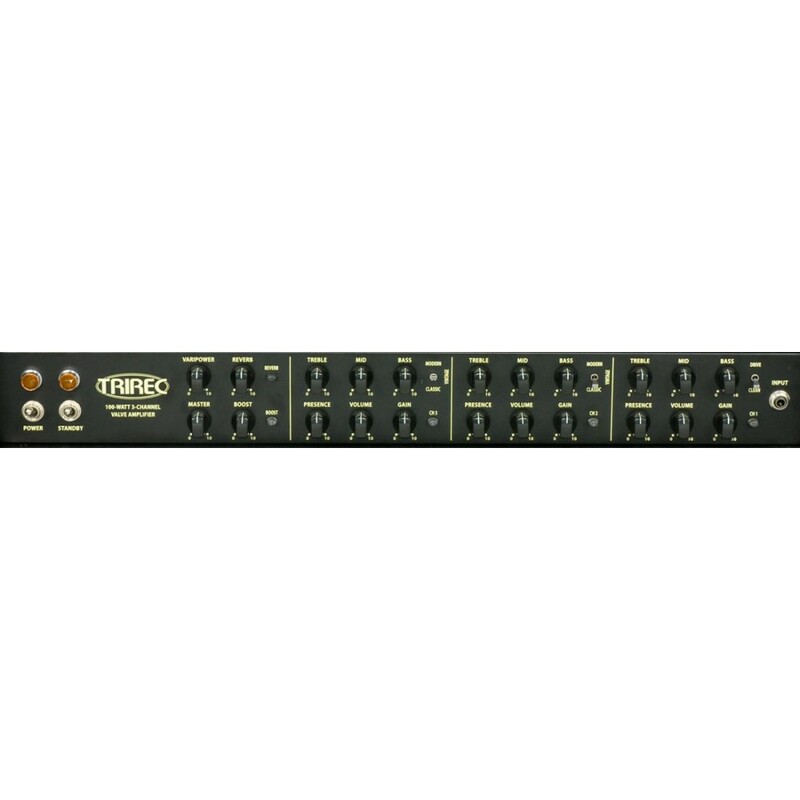 Inspired by some of the bigger, badder modern amplifiers in the world - the Bugera Tri-Rec can bring crushing gain or blissful overdrive at any volume setting, thanks to the onboard Varipower controls. 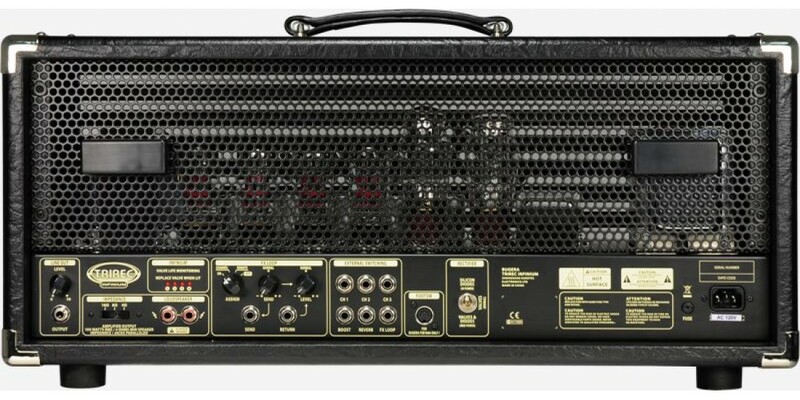 These controls enable the amp to operate at lower wattages, which allows for full power tube functionality at low volumes - meaning the tone will maintain hi-volume characteristics at a lower volume. 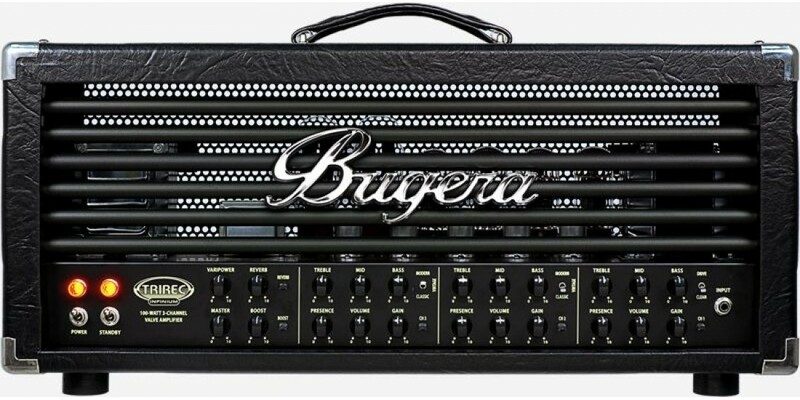 The Bugera Tri-Rec can be used with almost any external speaker cabinet that is intended for use with guitar, due to the switchable ohmage feature on the back panel (4, 8 & 16). 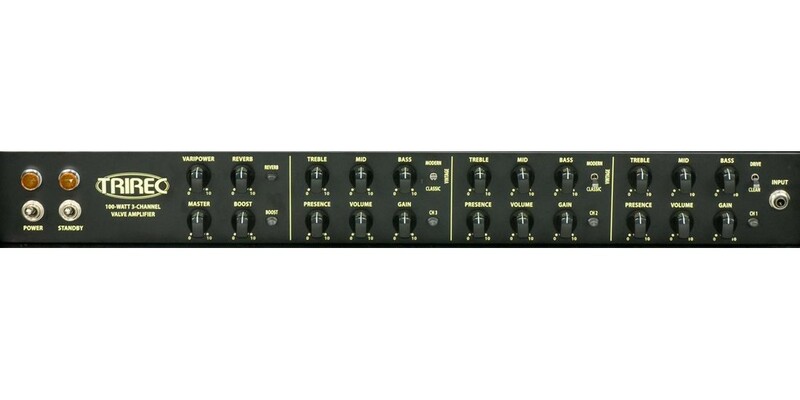 The back panel also features a level-controllable effects loop, as well as rectifier switching. The rectifier switching allows the amp to be operated in either silicon diode mode or with a blend of diodes and rectifier tubes. With the diodes, the amp has tighter high and low end - so it is optimal for guitar playing which is precise, such as modern metal. Selecting the tube rectifier blend gives the amp more dynamic character, in the sense that notes played are more likely to "bloom." 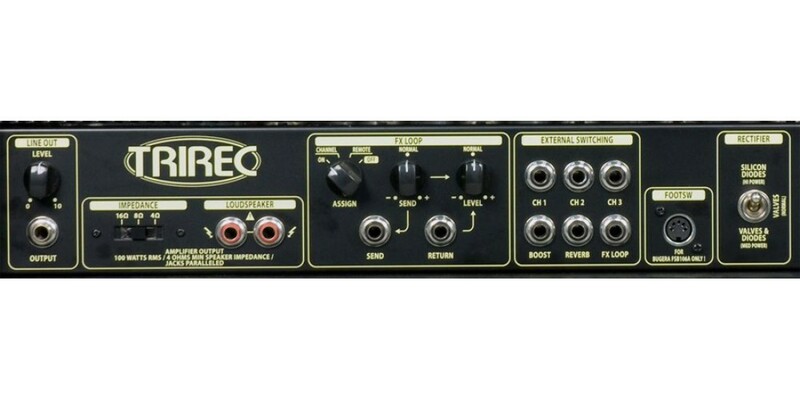 – Extends the life of your amplifier's expensive power valves up to 20 times.